As the patents for current biologics expire and the biosimilar industry begins to gain traction it is important to look at the future of the biosimilar market while noting hold-backs within the US manufacturing and approval processes. According to Research and Markets, the U.S. commands 43% of biologic sales, followed by the E.U. (21%) and Japan (9%). A type of biological product licensed by the FDA because they are highly similar to an already FDA-approved biological product and have been shown to have no clinically meaningful differences from the reference product. While manufacturers will not have access to reference product specifications, they will have access to the commercial reference product. This will allow them to do a side-by-side comparison with their biosimilar product. However, the companies who originally developed these biologics highly-guard the details behind them. 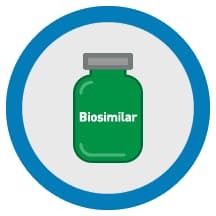 Although the process behind creating biosimilars is complex and the regulatory guidelines for approval are quite vague, this is an early stage of the industry. Business Wire expects the global biosimilars industry to reach $20 billion by the end of the year and $55 billion by 2020. With the 20-50% reduction cost biosimilars offer, manufacturers and regulatory authorities will have to work together to get these products developed and approved faster. While biosimilars may be worth $4.8 billion by the end of this year in the EU alone (FirstWord), there is no reason for the U.S. to be far behind since they are adapting similar biosimilar regulations.